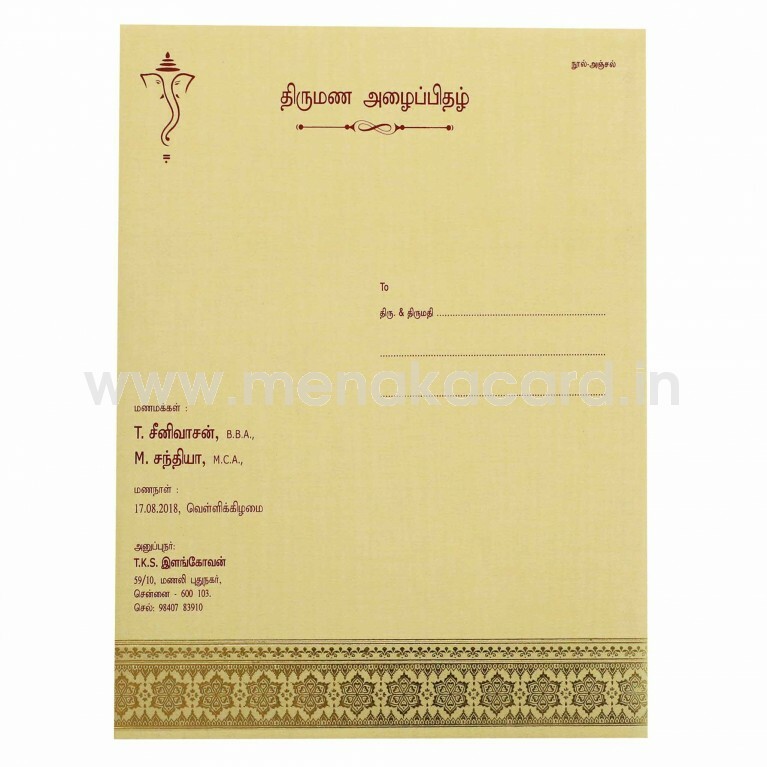 This traditional cream card is made from a matte finish artboard and has a rich traditional floral border strip printed in gold foil at the bottom of the front. The centre of the card has a beautifully ornate filigree frame with a maroon ink filling printed in gold foil that contains a divine Ganesha at the centre. The cream insert sheet is made from the matte artboard material and is stuck to the centre of the card. 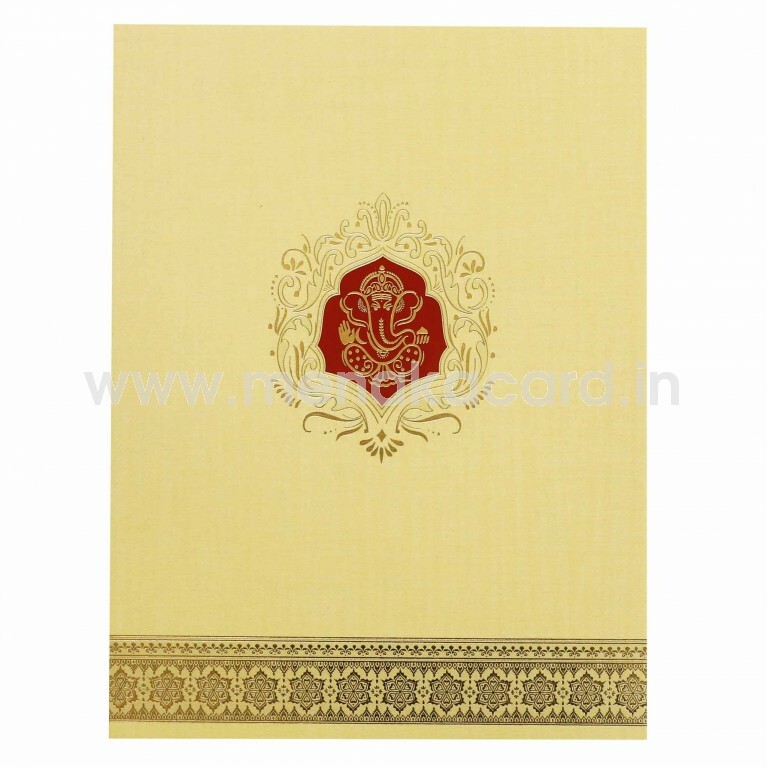 The content for this beautiful card is printed a maroon ink framed by an ornate square border. 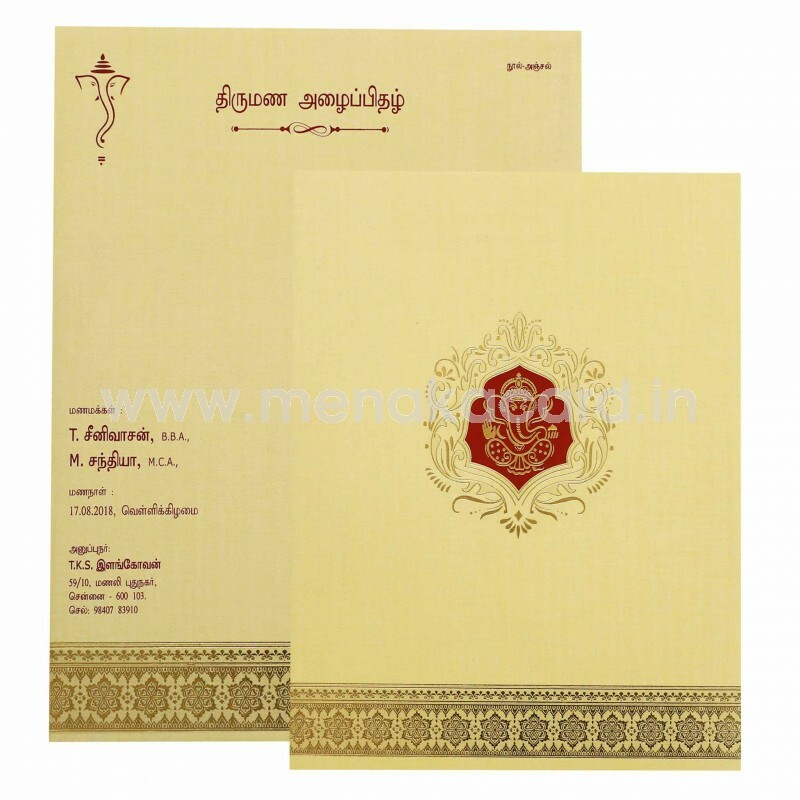 The envelope matches the card in border design and colour for both text and material. 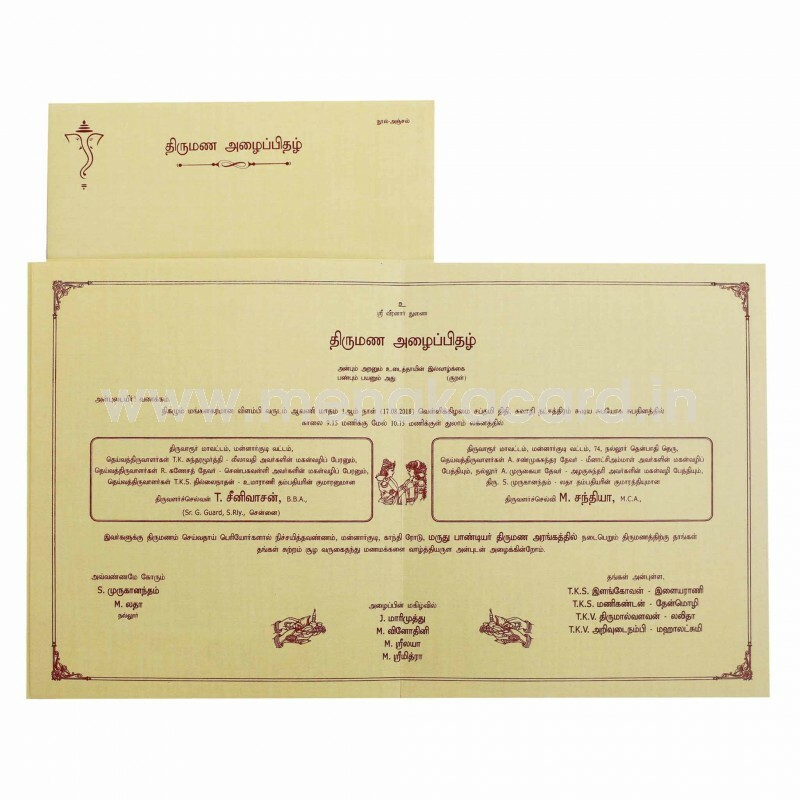 This is a Traditional Hindu wedding invitation but can be converted for Christian and Muslim weddings and other functions such as engagements and receptions.